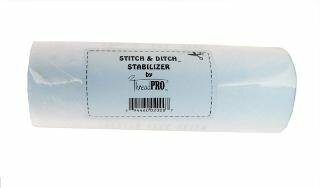 Stitch & Ditch Stabilizer is great for the needs of crayon artist and most sewers. Wonderful multi-purpose stabilizer, perfect for heat setting crayon art, Paper Piecing, or to transfer your quilting pattern. Great for Machine Embroidery.